April 19th at 7:00 p.m.
TOTAL RUN TIME: 90 mins. Author and teacher, Andre Dubus’s life was marked by tragedies leading him to many years of fear for his loved ones' safety. He carried personal firearms to protect himself and those around him until a night he almost shot a man in a drunken argument. That was when he decided to stop arming himself and to take a less defensive, perhaps hostile and paranoid, view of life. Dubus experienced a personal tragedy when he was seriously injured in a highway accident trying to help some people who had just been in an accident. 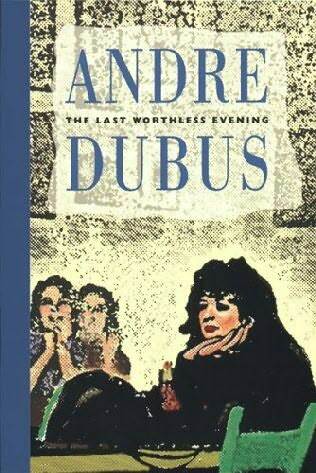 Even under these difficult physical, psychological, and emotional difficulties, Dubus continued to write. Since his death, his stories have been adapted into the movies, “In the Bedroom” and "We Don't Live Here Anymore". Filmmaker Ted Delaney sets about the country interviewing the close friends and family of Dubus, examining how Dubus’s life and art were interwoven. The Director, Edward J. "Ted" Delaney, will be in attendance.